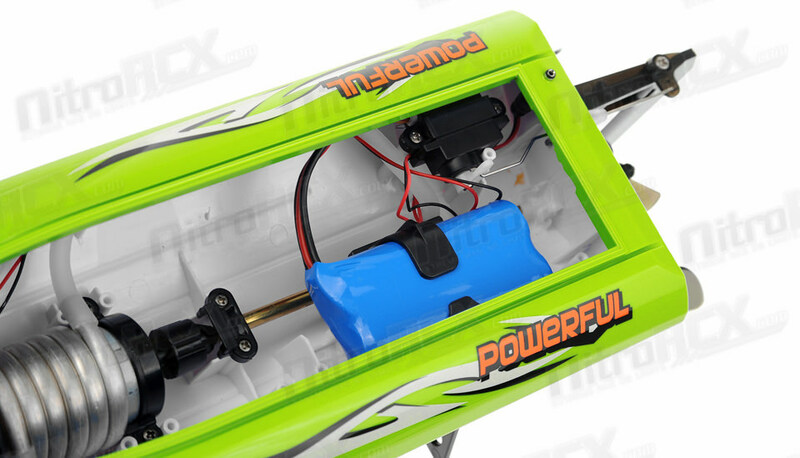 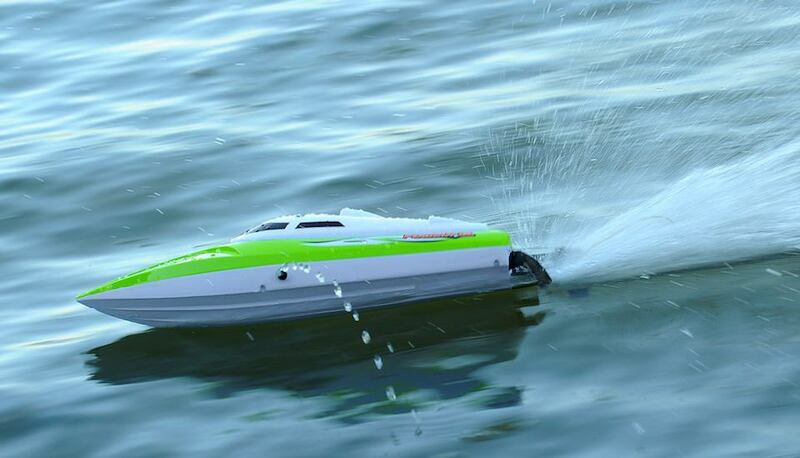 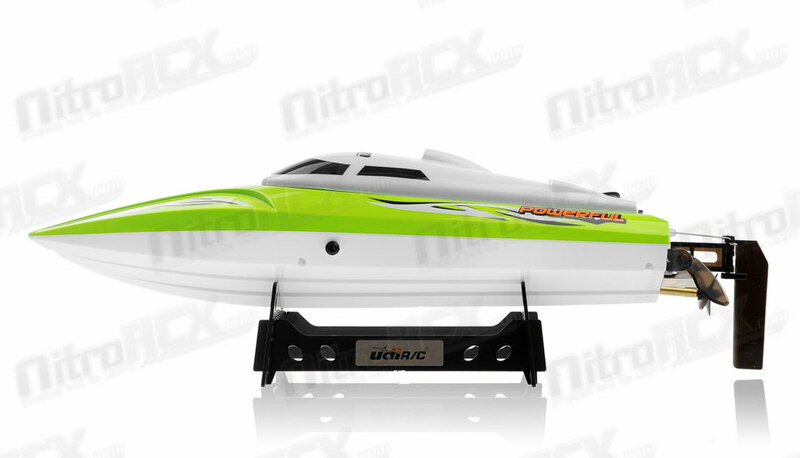 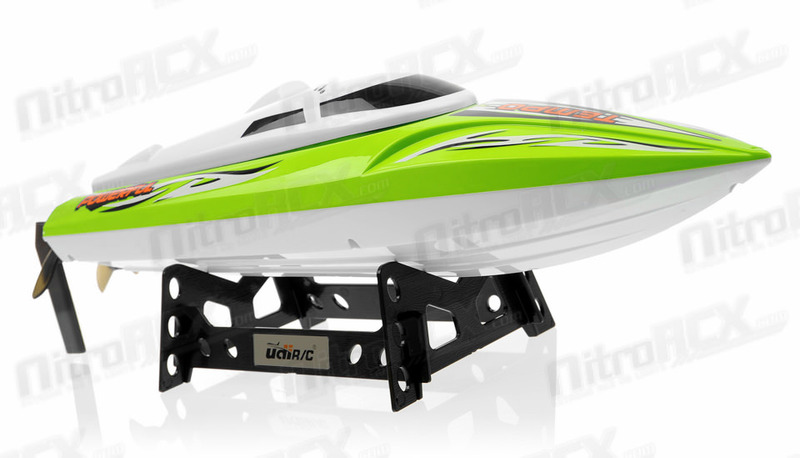 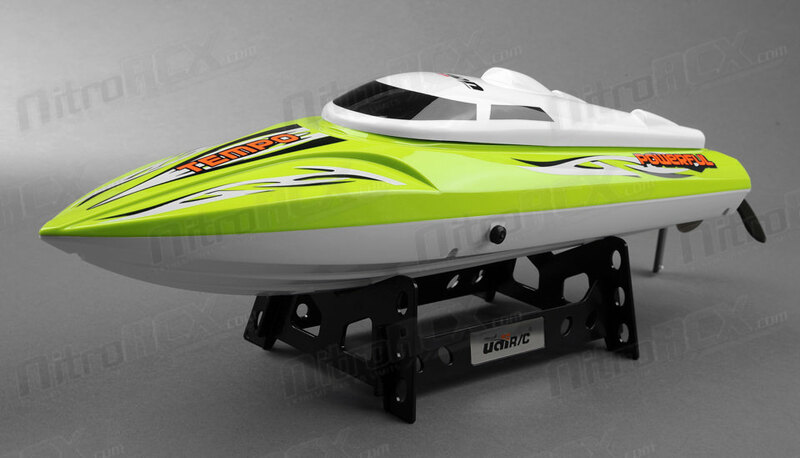 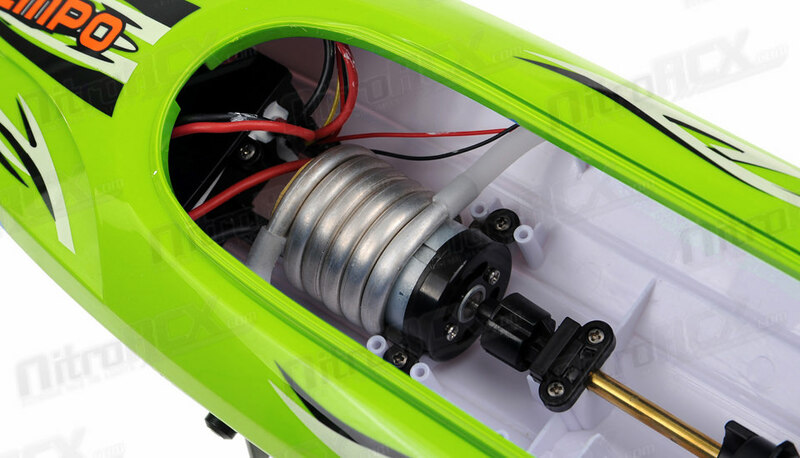 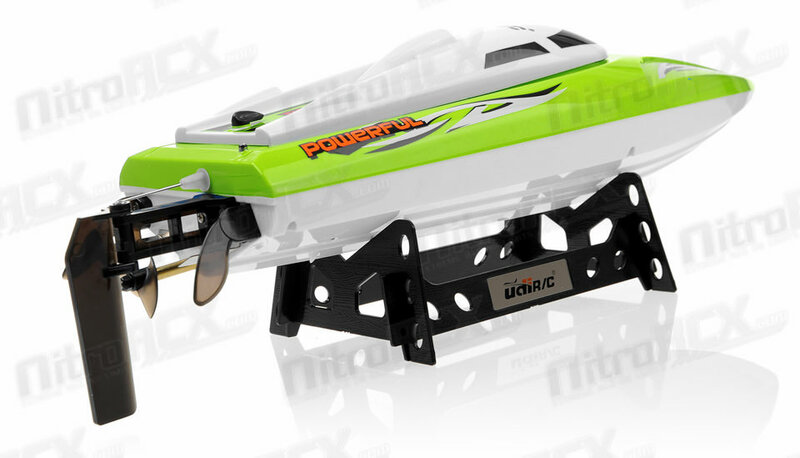 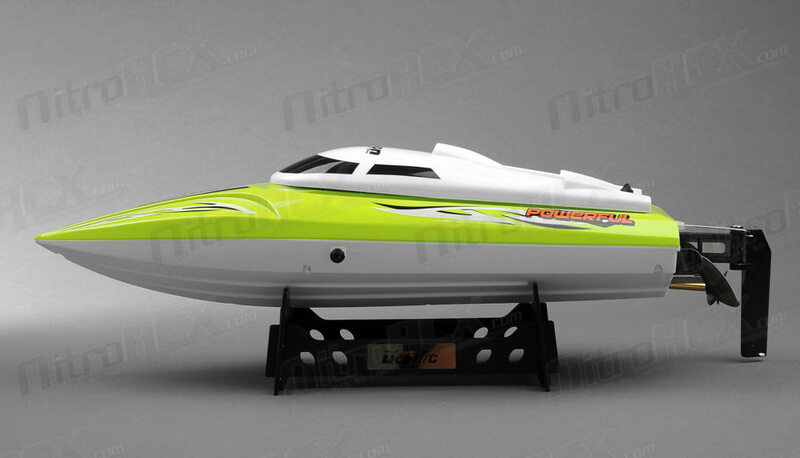 The UDI U002 comes equipped with a water cooling system to prolong the life of the boat. 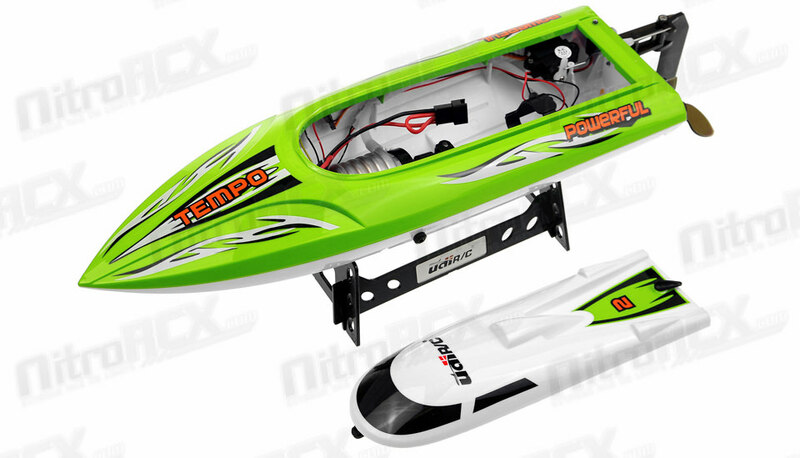 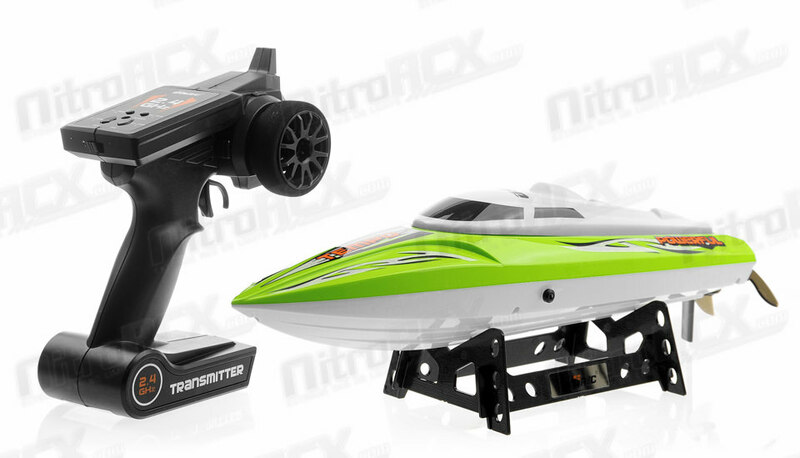 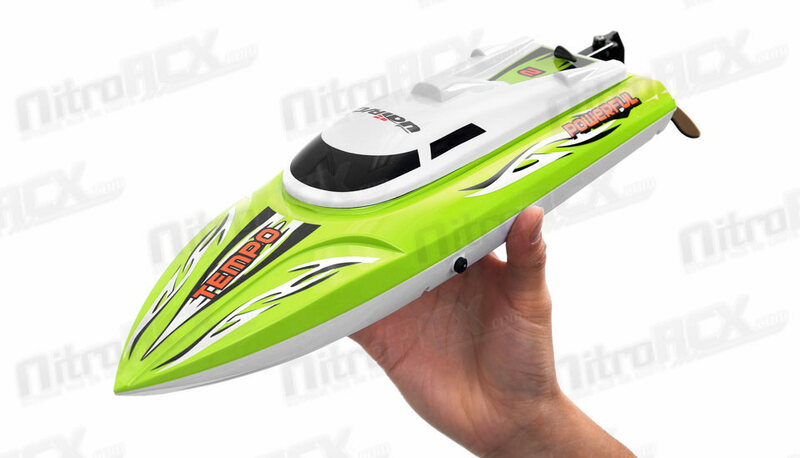 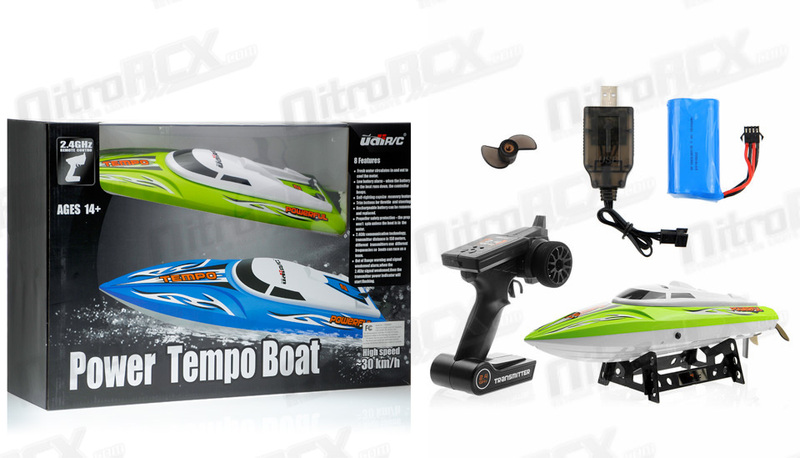 Advanced 2.4GHz automatic code pairing technology allows you to control different boats use different frequencies. 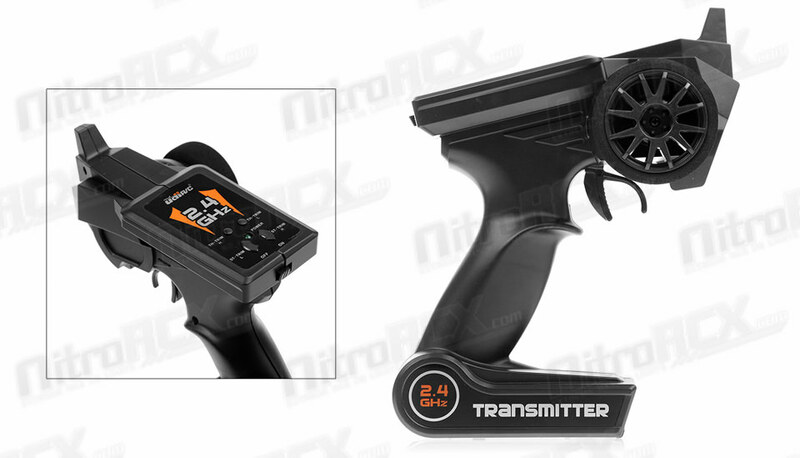 When the 2.4G Signal becomes weak, the transmitter will detects and flashes an out-of-range light. 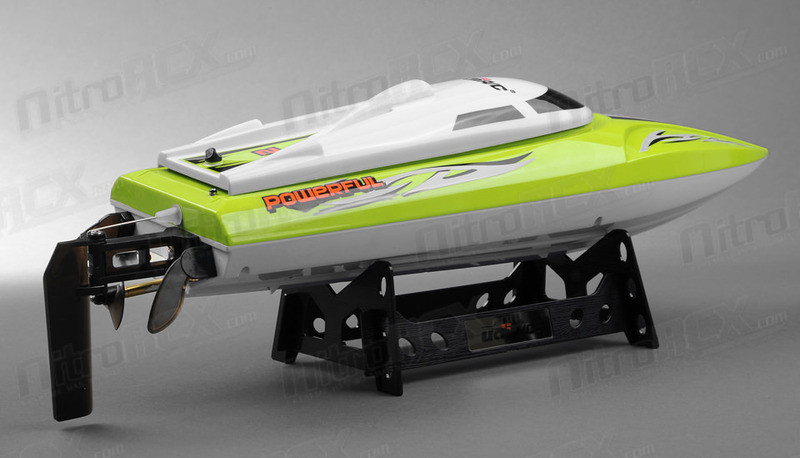 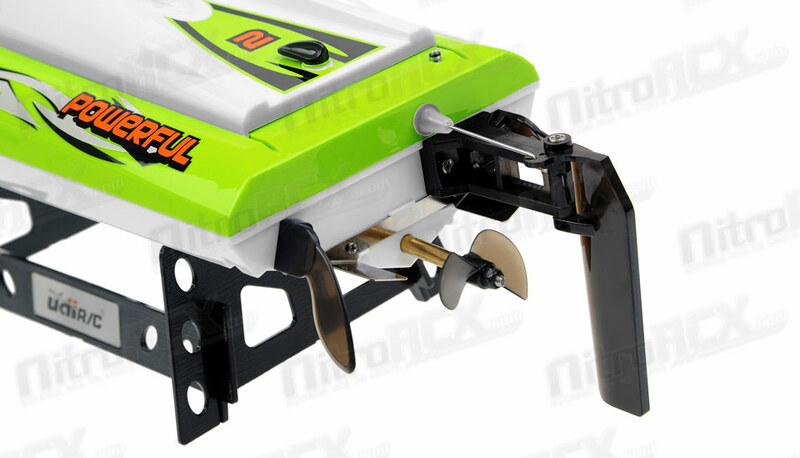 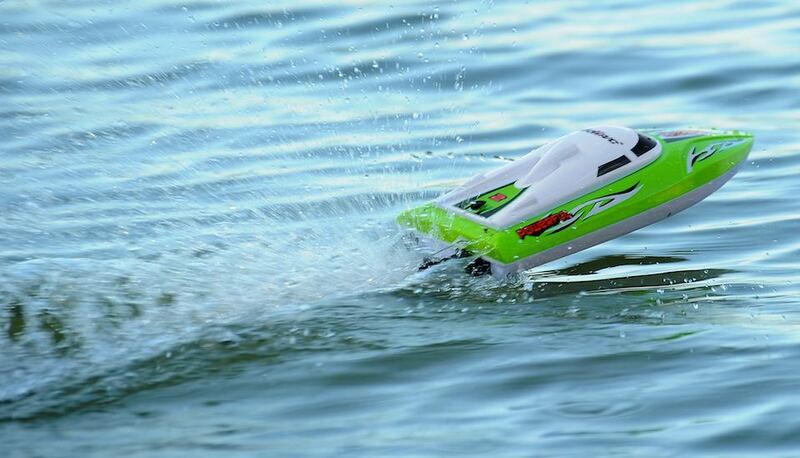 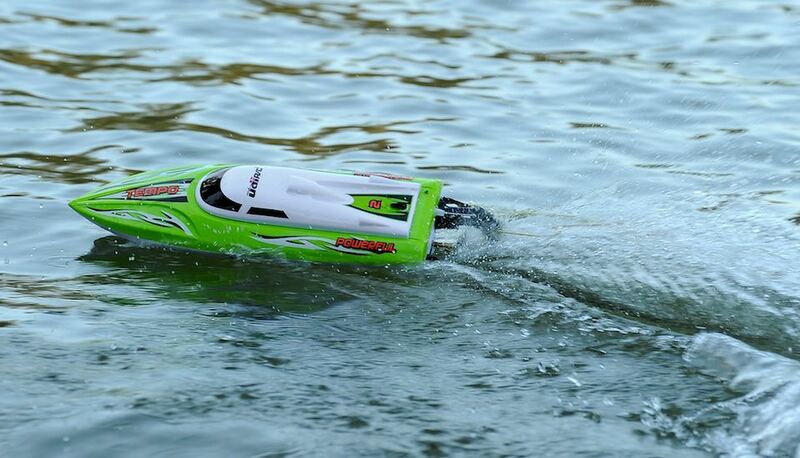 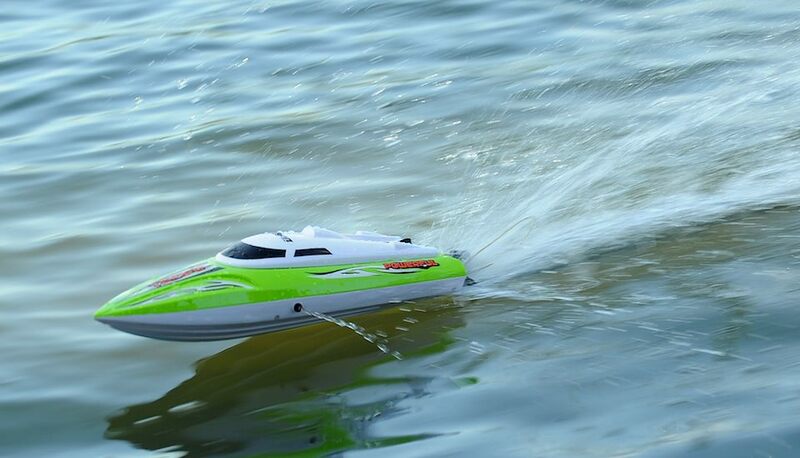 The self-righting feature lets you command your boat back into action if it capsizes. 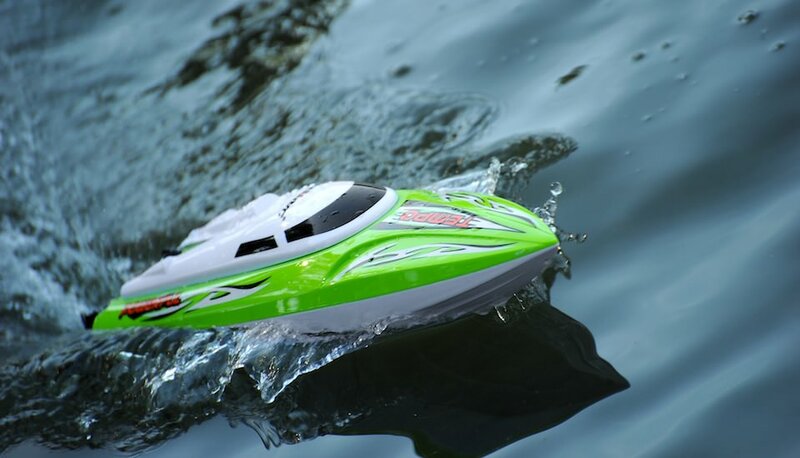 When the battery runs low, the transmitter will sound "di, di, di" this warns you about 1 minute left, so you can sail it back for retrieval.